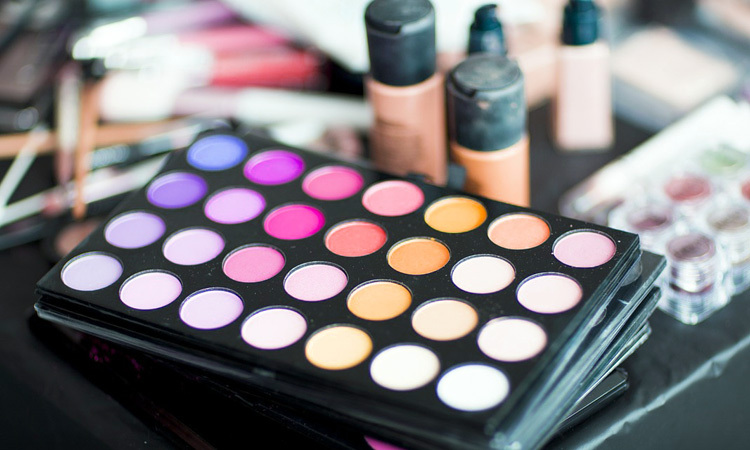 This is similar to picking the right shade for your foundation, concealer or eye shadow. It is hard to pick out the right one – doing this would require comprehension of color theory. But, you don’t need to worry. Blushers today are very flexible, which will blend onto your skin tone easily. Getting off at the wrong track, however, will make your face drained or looking like a clown. There are two simple things to take into consideration – skin and the context. – Know whether your skin is a warm or cool tone. – If you have a yellow undertone, you will settle in better with cool colors like mauve, rose and pinkish plum. – Orange, copper, almond or peach is appropriate for olive-skinned while blue skin tones (very dark-skinned) can opt for dark red or auburn. – Those with a neutral look can have any color while those with pink tones can get away without a blush at all. – The darker the skin, the stronger the color of the blush. So it follows that the lighter the skin, the lighter the blush. – The intensity of the blusher will make or break your look. Having a blusher that is too weak for your skin will not even be seen. – Fair-skinned women may use a shade from a pale pinkish red to beige – you can also apply powder blush on top to have that transluscent effect. – Medium tones call for warm pinks, brown-based pinks or soft beige. For the olive-skinned, brown-red, soft berry, honey beige or plum pink is recommended. – Those with a darker skin color can use deep bronze, soft mahogany or cocoa. – Consider the color of your hair and eyes. Dark or black hair tends to make the skin look paler, so a stronger blush than the recommended shade might be needed. – Neutral shades like a bronzer should complement blonde hair and tanned skin. – Peach is a safer color for red heads or those with loud hair colors, since it competes with your blush. – Daytime or nighttime? Soft, natural colors like warm pinks, beige, peach, and mauve is more appropriate for evening affairs. A bronzer can also be a substitute to blushers if you want a sun-kissed look. 3. Sure-fire blush selection, made easy! Do physical activity for about two to three minutes until your cheeks become pink. If you’re still having a hard time knowing what the right shade is best for you, ask someone from the make-up counter. Since they have charts and color wheels, it is best that you ask them for advice on color. If you’re thinking on buying a blush, remember that you won’t find out the real shade until you try it out. Apply on the inside of your forearm to find out the color. If it doesn’t stand out, then you have chosen the right color. Experimenting with the right shade and color would require a face in full make-up. This will let you know if your blush is balanced with your make-up. Make sure that your blush will match the color of your lipstick. Applying a little blush to the tip of your nose and chin will balance your look. To ensure that your blush will blend with your make-up, apply blusher first or else it will compete with your eyeshadow and lip color. If you find out that you have too much blush, don’t fret. Just get a dry and clean sponge to soften the colors. Remember, this will all be in vain if you don’t know how to apply blush properly. Makeup Made Easy Reviewed by FashionPole on September 30, 2016 .